Each year, Lunar New year represents a special time for many of our international students as they look to celebrate one of their most important annual traditions with family and friends. The holiday is typically meant to be shared with those that are closest to you, for our students studying abroad, this means enjoying the festival with their school, their classmates, and their hosts. 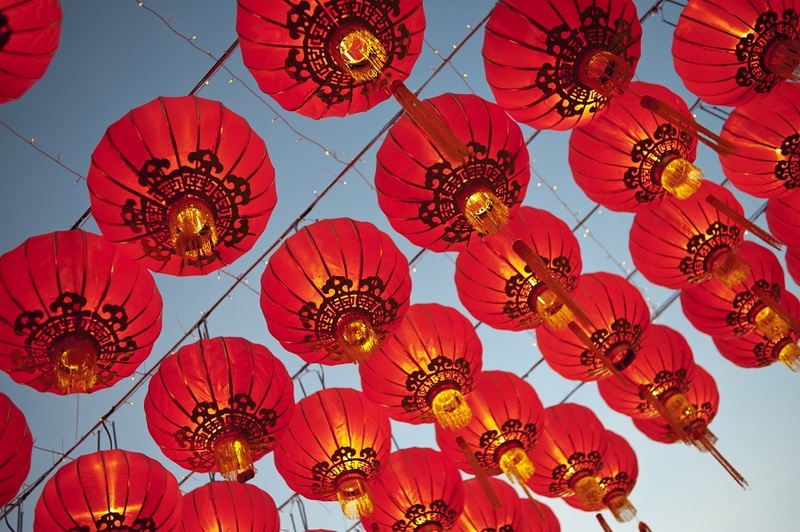 Many of our Cambridge Network partners take this opportunity to show students their appreciation for their culture in hosting Lunar New Year events and our international students take this chance to share their customs and traditions with their new communities. Below you will read about some the remarkable experiences our students, schools, and hosts shared with us during this year’s Lunar New Year celebration. We hope you enjoy hearing about these experiences as much as we did! Cambridge Students from around the Lancaster County, Pennsylvania joined by their local Cambridge Network Student Development Manager, Emily He, performed a beautiful rendition of the Chinese classic, “Moonlit Night on the Spring River (春江花月夜).” The song is named after a famous Ming Dynasty poem and was even used in the Opening Ceremony of the 2008 Beijing Olympic games. 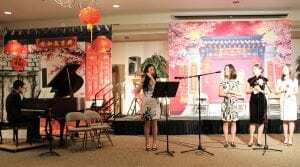 Our students performed in front of host families and community members. The celebration also included gifts, food, and dragon dancing! Students and host families from Marian and Regina Dominican High School got to enjoy fun-filled celebration which featured a favorite local pastime, Whirlyball, a game that combines elements of lacrosse and bumper cars where teams of cars with scoops pass the ball and try to score in the opponent’s goal post. For those that unfamiliar, these students got to experience a true Chicago tradition since there are only a handful of Whirlyball locations across the United States. The day came to a close with an exceptional treat for our students when our local Student Development Manager, Stephen Glaspie, shared video messages for our students from each of their natural parents. 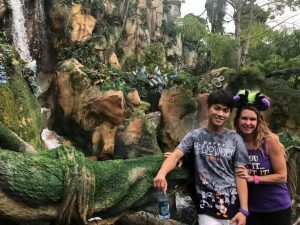 We were particularly moved by this story from our Cambridge Network student Darren Liu, who is currently a junior at Pope John Paul II High School. Darren had mentioned to his host parents about craving a specific dessert from home but was unable to find it at any bakeries nearby. Darren’s host mom, Jennifer, then contacted Darren’s mom in China to get the recipe for Darren’s favorite dessert. 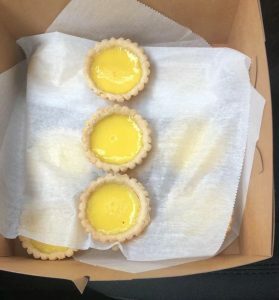 After receiving the recipe and having translated to English, Jennifer took the recipe to a local baker who was able to replicate Darren’s mother’s dessert. During the Lunar New Year festival, Darren was ecstatic to finally be able to enjoy the Chinese egg tarts he had been craving for so long! Our Cambridge Network Student Development Manager, Simone Sprague, created these beautifully baked confections for her students to celebrate Lunar New Year. 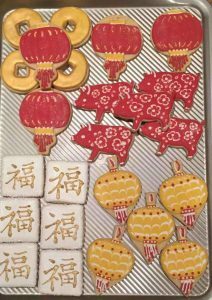 Complete with red and gold motifs which represent happiness and wealth, respectively, the artistically designed cookies also include important symbols like “fu (福)” meaning good fortune, and the lantern representing a bright future for the coming year. For more exicting new and events, follow us on Facebook and Twitter!